Glass Nation has the best Helix Pipes online. The great thing about Helix pipe percs is that they don’t require water to function properly. They can be fitted on hand pipes and sherlock style pipes as well as dab rigs and bubblers. Don’t settle for anything but the best when it comes to having the best smoking implements. 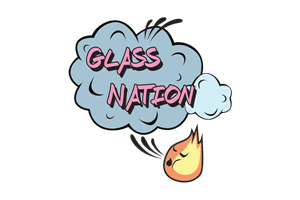 Glass Nation knows what quality looks like and we won’t stop until we have the best selection of smoking devices on the internet. Glass Nation has the best Tornado pipes online by a long shot. If you are looking for an artfully crafted tornado pipe we have you covered. The tornado styled perc or the helix styled percolator is perfect for cooling smoke down in a small hand pipe. The bubble design works to spin the smoke in ever tighter circles until it goes in your mouth. Copyright 2019 © Glass Nation.